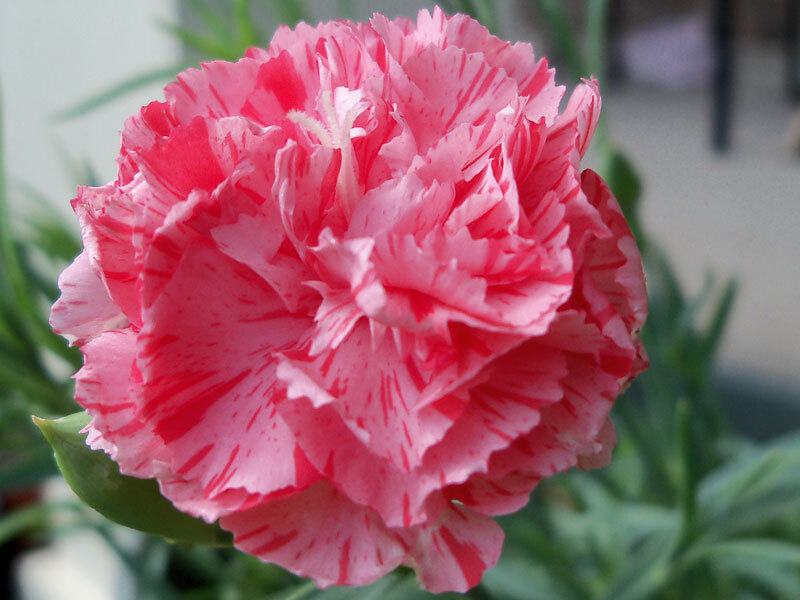 Carnation! Last year, I bought some carnation seeds in the spring and tried to get them going one of the flowerbeds ... to no avail. But the one I kept in a container had its first big bloom today. 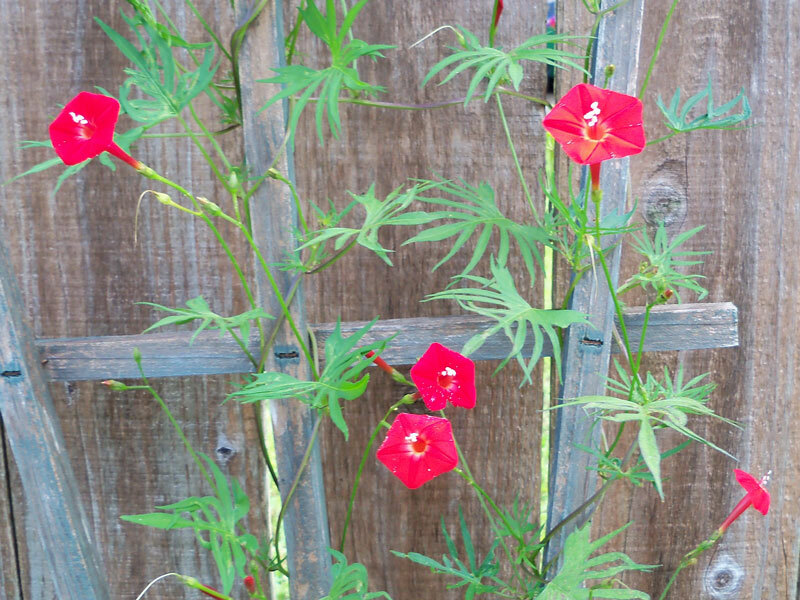 The cardinal vine began blooming a couple of weeks ago. 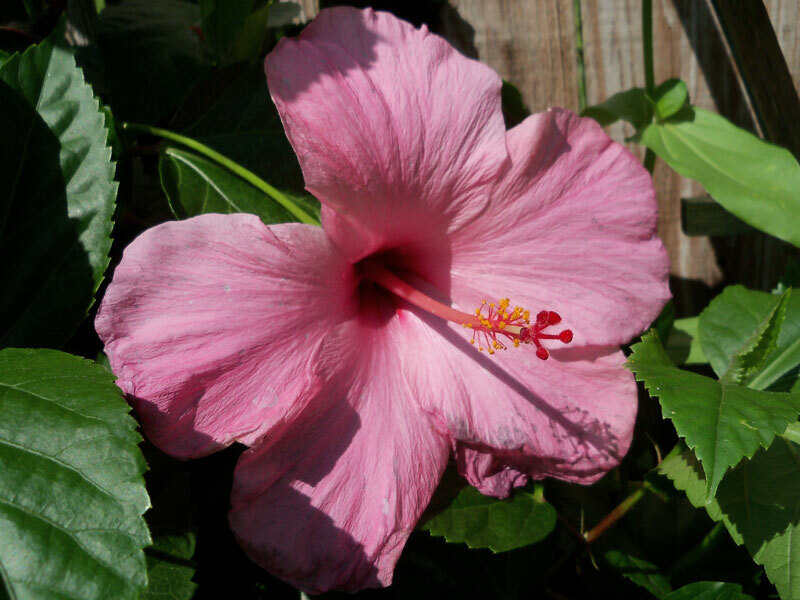 The pink hibiscus opened for the first time this season today. 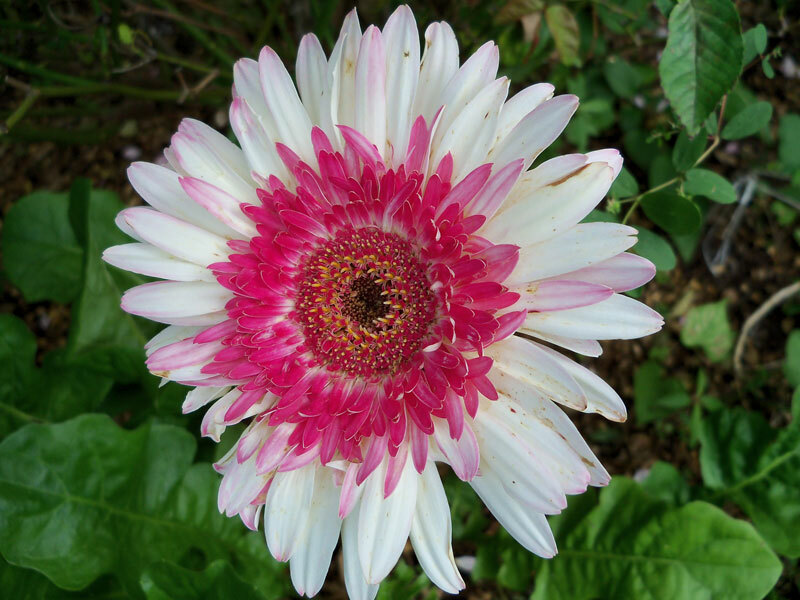 The pink and white gerbera daisy. There's a mockingbird nest in our tree in the backyard. Here's a photo of the two parents, waiting until I'm not looking, so they can go and feed the babies. Bugs. See more photos in the Gardening 2012 album. 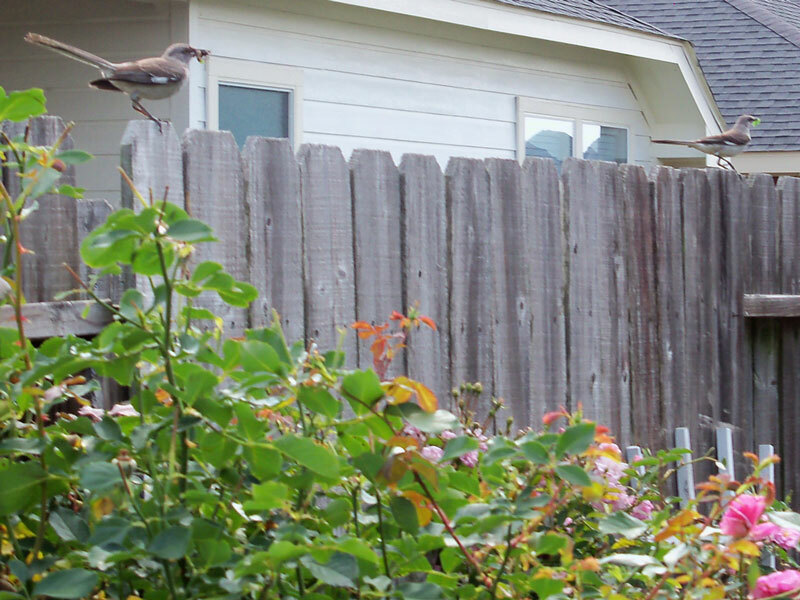 Those mockingbirds are amazing. One looks like he has a brown catepillar in his mouth because of the green stuff dripping. Also, what are the names of the tall purple flowers in that one photo. Have the wild flowers from the wild flower seeds started blooming yet? 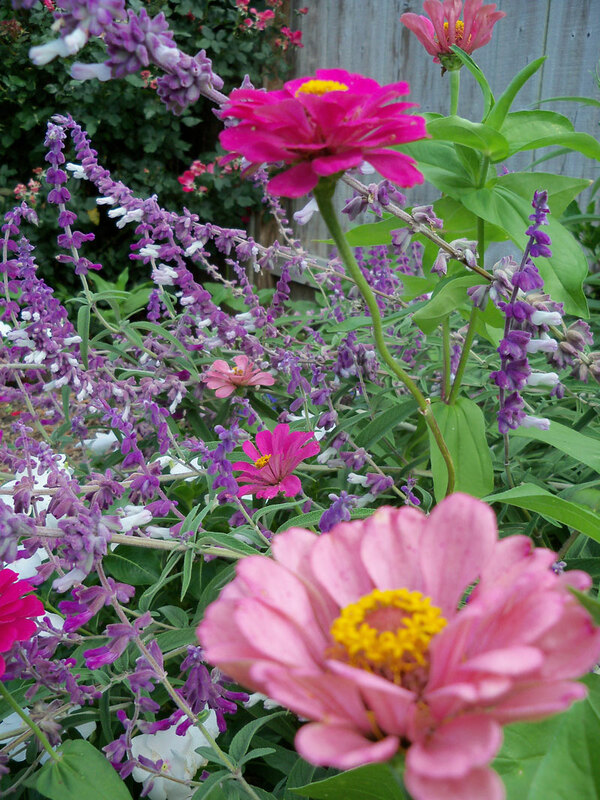 I have some blooming, cosmos and somthing I cannot identify. That leaves are hairy looking and bloom is purple. I can’t wait to see what colors all the other flowers will be. I have the wildflower bed around the oak tree in the backyard. You are a fantastic gardener, Brandon!! !